Bleak Bliss: Check This Out! 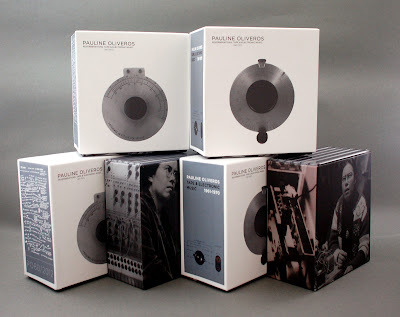 What else would you need to celebrate the 80th birthday of Pauline Oliveros? Well, Important Records have done it again and you need to check it out here. "This has got to be one of the most improbable, altruistic, and quixotic box sets ever produced, as it compiles 12 albums worth of almost entirely unreleased material from Oliveros' fertile early years. That, of course, means: 1.) none of her early masterpieces like "Bye Bye Butterfly" are here, and 2.) nothing at all is included from the wildly different (and superior) work that she has done over the last four decades. 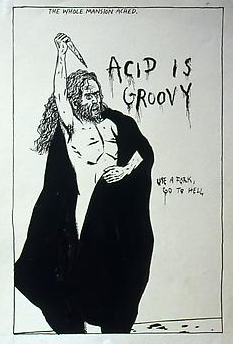 Those caveats, coupled with the inarguable fact that no artist on earth has a dozen killer albums worth of vault material lying around, makes this a pretty undesirable prospect for the merely curious or for anyone looking for a definitive retrospective. For serious fans of early electronic music, however, this is an absolute goldmine." Obviously, you are a very discerning bunch so you will probably crack a smile. I've bought mine. Don't ask me to post it, that would offend me. You will need a different blog for that kind of thing. You should also pass by here where you can offer a donation to the Deep Listening Institute or you can buy a Pauline at 80 shirt (mine's the Pauline on an elephant btw). Mega. Thank you so much for making me and my cash aware of this incredible set.